Some star sapphires are world famous, such as the huge Star of India in the American Museum of Natural History in New York. This 563 carat grayish blue sapphire was originally mined in Sri Lanka. This gem is very unusual in that it displays stars on both sides of the gem. 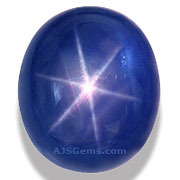 The photo of the Star of India illustrates some of the characteristic properties of star sapphire. 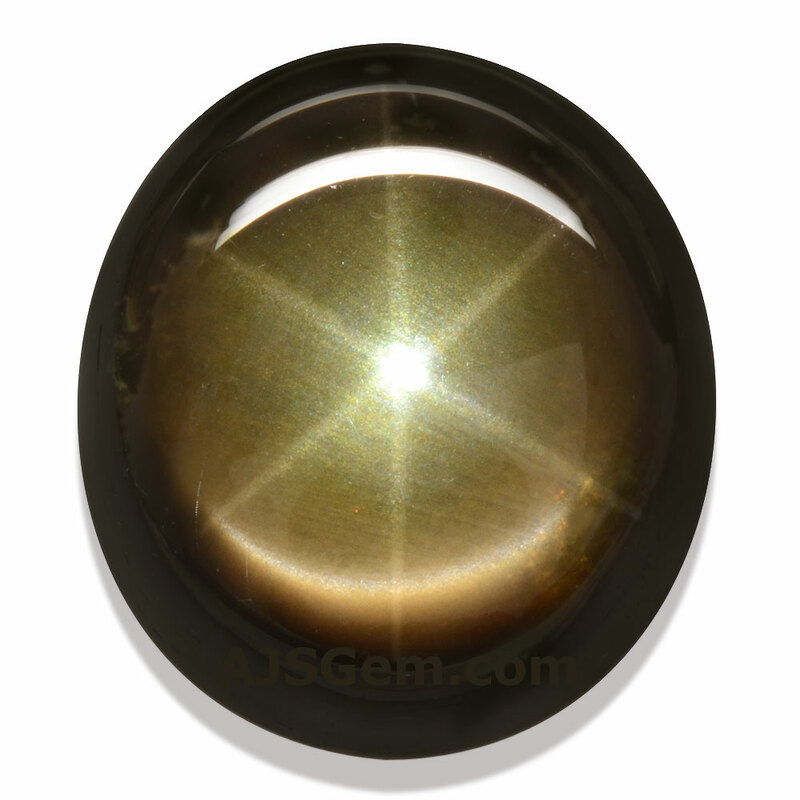 The milky color is due to the presence of rutile inclusions, the same mineral that produces the star effect. There is always a tradeoff between the distinctness of the star and the saturation of the body color. More rutile in the stone means a more pronounced star, but a somewhat cloudier color. Since both the star and the body color are important, gem dealers try to strike a balance between the star and the body color in selecting their material. New buyers of star gemstones often have unrealistic expectations of the distinctness of the star. They have seen photographs of these stones that show a sharp and clearly defined star, and perhaps they have also seen synthetic star gemstones with very sharp stars that display perfectly under any kind of light. But this is not the standard by which natural star gems should be judged. To fully appreciate the marvel of a natural star gemstone, it is worth understanding how stars form in natural gems, and how best to observe the asterism. 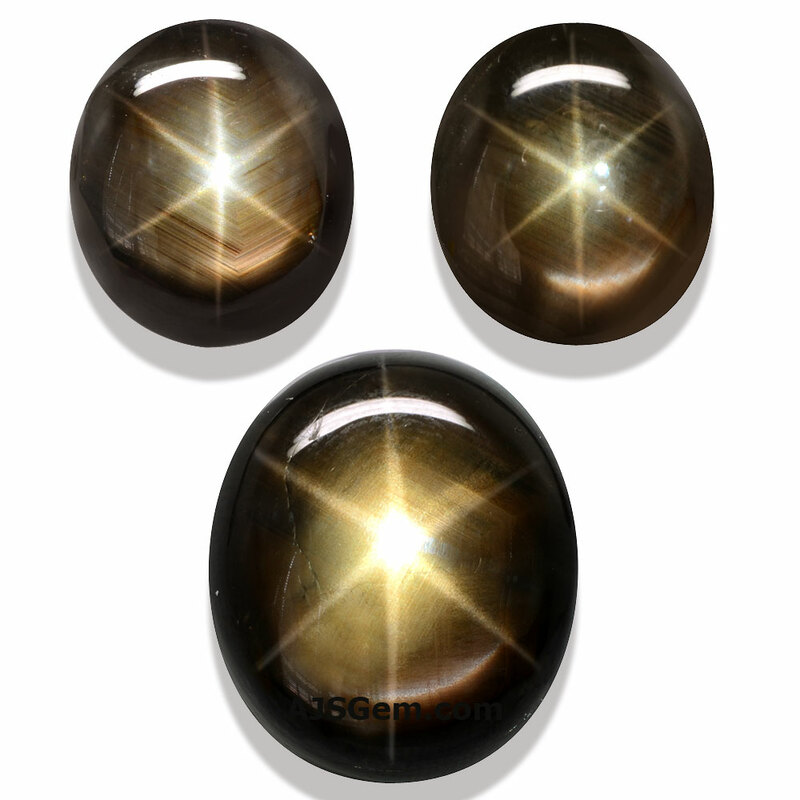 As mentioned above, the essential element in producing a star gemstone is the mineral rutile. If inclusions of rutile are densely packed, and aligned in the correct way, then they will reflect light in a multi-ray pattern forming a star. 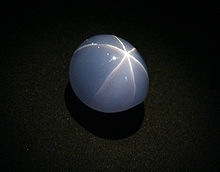 The gem must be cut as a cabochon in order to display a star, and it must have the right proportions: neither too flat on the top or too heavy on the bottom. 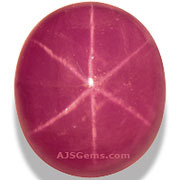 Most natural star gems display a star only in sunlight or in strong indoor light. Even very good quality stars will display poorly in diffused light. A focussed light will display the star best and all the photos you see of these stones will be taken using such lighting. Gem dealers use a penlight to evaluate star gems. The trick is hold the light about 15 cm (6 inches) above the stone. Move the light back and forth to see how the star moves across the surface of the stone. The star should be sharp and clear, and the rays should be straight and evenly spread. The star should be centered at the top of the dome, and it should extend across the entire stone. It should travel easily across the surface of the cabochon as you move the light back and forth. Star sapphires are found several different colors, including white, gray, pink, blue and red (when corundum is red it is referred to as ruby rather than sapphire). Some natural star sapphires are enhanced by a process that diffuses rutile into the gem to improve the star. 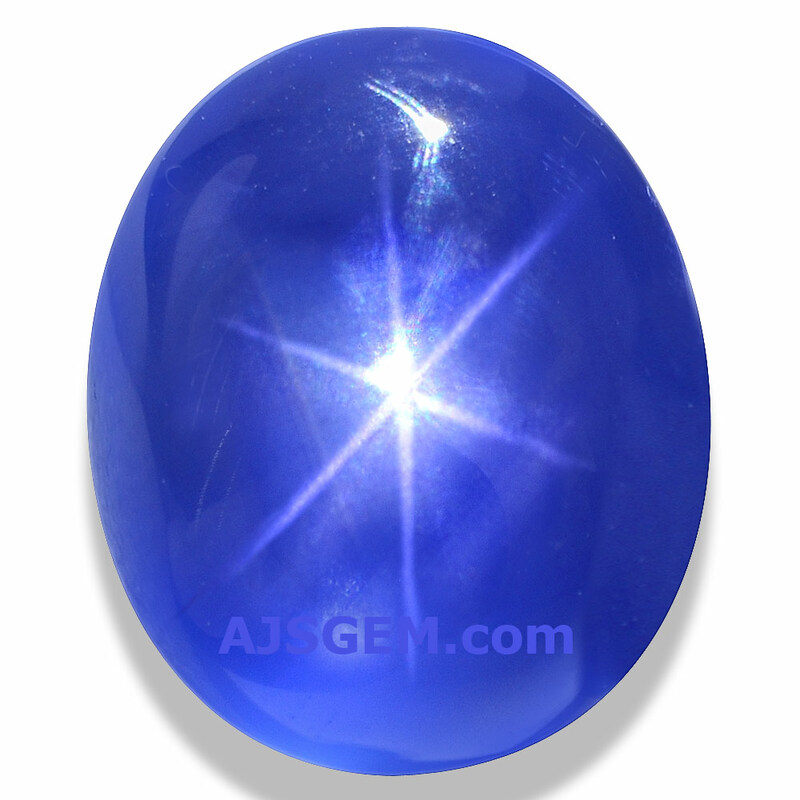 But higher quality star sapphires are always natural. 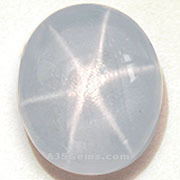 When you buy a star sapphire cabochon you will find that most of these stones are left unfinished on the bottom. 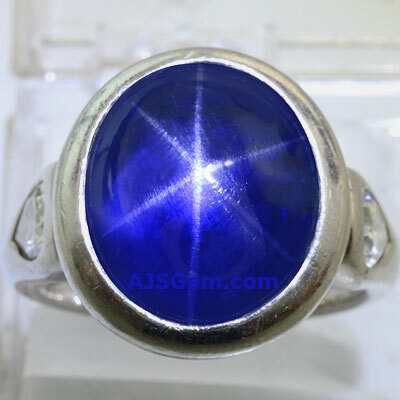 This is normal, since most star sapphires are opaque or translucent, and only the top will show when set.